KANSAS CITY, Mo. 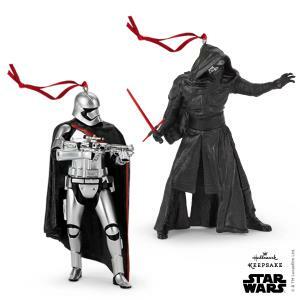 (Sept. 4, 2015) — As excitement builds for the Dec. 18 release of Star Wars: The Force Awakens, Hallmark announces new products coming to Hallmark retailers and Hallmark.com featuring heroes and villains from the new film. We haven’t even started the first day of Celebration yet and we already have announcements for upcoming exclusives for SDCC. Hallmark has announced that they will be having a U-3PO and R5-D4 Keepsake Ornament set as well as a set of Itty Bittys featuring Boba Fett and Han Solo in Carbonite. Click through for the details. 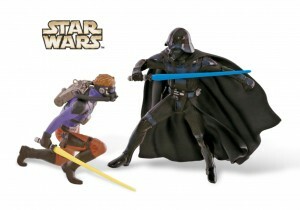 Hallmark has issued a press release for their exclusives to be offered at Celebration Anaheim. Click on through to check them out. In addition to the SDCC/NYCC Exclusive Wampa Keepsake Ornament*, Hallmark is offering a two-pack of itty bittys® styled after a Tusken Raider™ and a Bantha™ as seen in Star Wars: A New Hope™. Sales limited to 300 pieces per day as part of a total production run of 2,700 ($20 per pair). Head to Hallmark.com for addition convention exclusive announcements. *Wampa ornament is limited to 200 pieces per day as part of a total production run of 1,800 ($35 each). 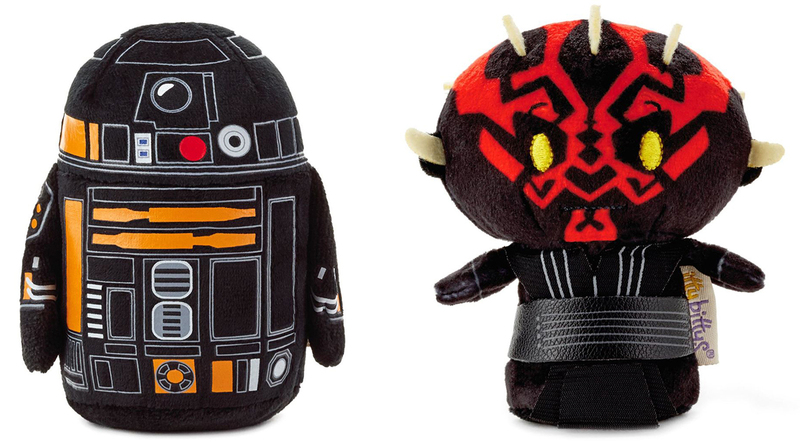 In September, Hallmark’s itty bittys® line of pint-size plush characters will introduce six exclusive Star Wars™ characters – Luke Skywalker™, Obi-Wan Kenobi™, C3PO™ and Jawa™ will be available in a Star Wars: A New Hope™ Collector Set ($29.95) ; Darth Vader™ and R2-D2™ will be sold separately ($6.95 each). Click on through for the images and for a chance to win one of three Hallmark prize packages.